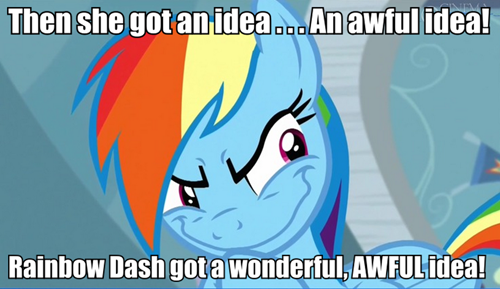 Then she got an idea.... An awful Idea!. Wallpaper and background images in the माइ लिट्ल पोनी फ्रेंडशिप ईज़ मॅजिक club tagged: photo. It's interesting to look at this, because I wrote an article two years ago, and I made Gilda do the same thing. I think this is my favorite meme now. 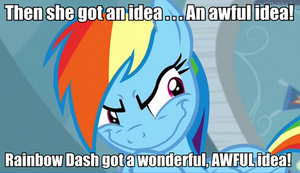 You're the mean one, Rainbow Dash!